A classic O-ring gag with a twist! This mouth restraint is made of silky, tasteless, vegan-friendly silicone for optimal comfort and easy cleaning. A 2" tall O-ring sits in the middle of this delectable piece, and tiny silicone studs are embellished along the straps to enhance the gag's overall aesthetic. 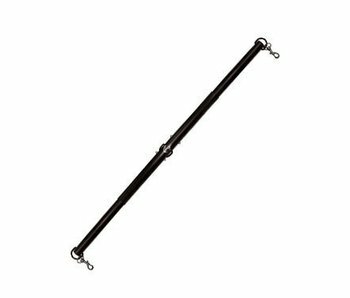 Featuring nickel hardware, this adjustable gag is so velvety soft, your submissive is bound to beg for you to lock it on. Measures 22.5" total length with 6.75" of adjustability. This bit fits comfortably between teeth. Best of all? No taste!